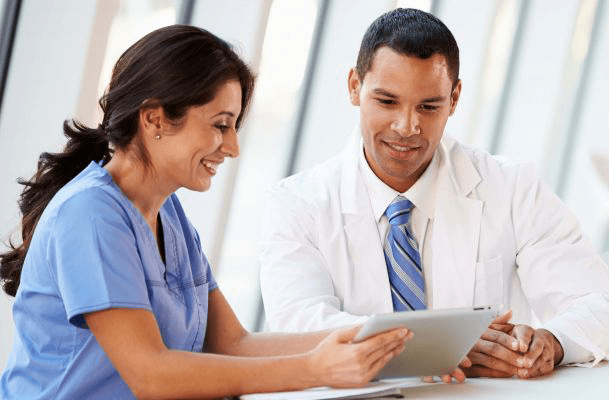 Rounding programs that focus on both employee satisfaction and patient satisfaction engage individuals in conversations that otherwise may not have occurred. These conversations provide the opportunity to review the data collected from the team, from the patient, from the managers, and from the caregivers. When employees are committed and engaged, they are a critical element to improving satisfaction and loyalty all around. Employee engagement and satisfaction occurs overtime, so creating consistent rounds, tracking data, and analyzing performance can provide a healthcare organization with the conditions that create the most desirable outcomes. Using the data collected during patient safety and quality rounds, leaders can easily determine the disciplines that need correction or improvement, communicate these quality measures to the team, and provide the resources and training necessary to promote learning and continuous improvement. With improved planning and communication, all participants feel a part of the process. Everyone can be prepared, avoid interruptions in their day, and provide the best possible care. This improves the satisfaction of your team. Patient engagement and satisfaction begins during admission and continues even post discharge. Ensure that patients have the opportunity to communicate and are heard by staff so that their needs, their pain levels, and even their food choices are understood. Communication is bi-directional so be sure that your patient also understands medication management, discharge instructions, and other items. Rounding ensures this communication occurs across and between all levels leading to a happier patient. It is clear that both patient and employee satisfaction have a direct impact on one another. Rounding to help support these initiatives provides positive reinforcement and encourages positive behavior all of which lead to higher levels of satisfaction.